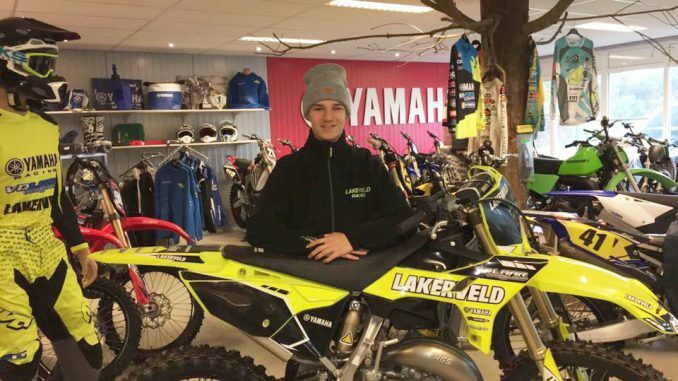 HomeMack BouwenseMack Bouwense signs with Lakerveld/Van De Laar Racing! Young Dutch talent, Mack Bouwense has signed a deal with the Lakerveld/Van De Laar Yamaha Racing Team for the 2018 season. It was only two years ago that Bouwense was competing in the EMX150 series but moved up to the EMX125 series this year with the GL12 KTM team. Bouwense will stay on the 125cc for the 2018 season and focus on the Dutch Championship. He will contest the EMX125 series if he shows enough speed to be competitive. It remains to be seen who else will join Mack Bouwense under the team’s awning.